Sometimes, you just need an easy finger food to set out. These fit that need! If you haven’t tried pickled okra, cream cheese, ham roll ups, you should. 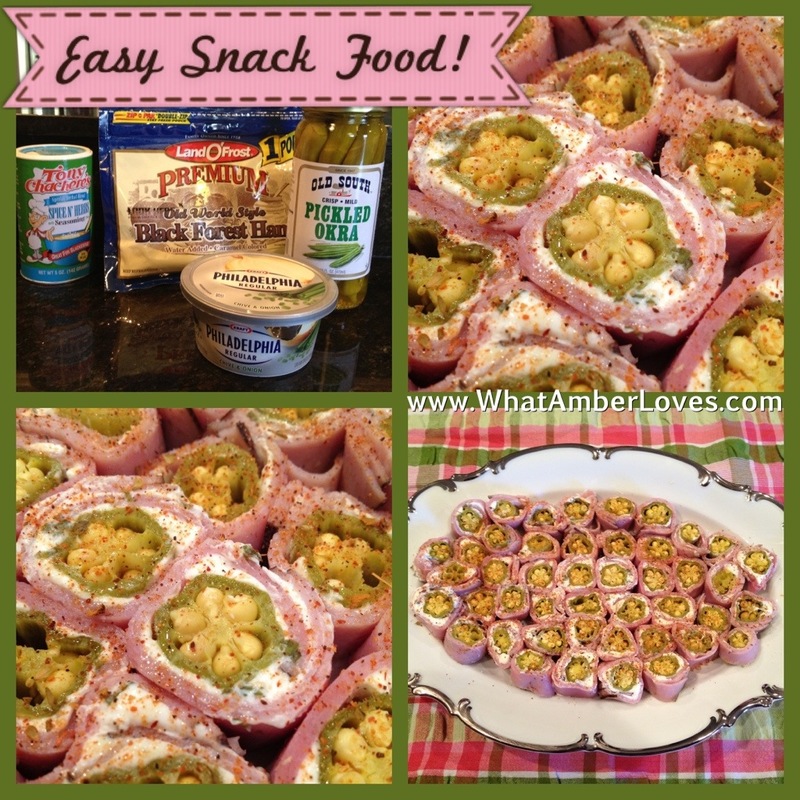 Ham coated in cream cheese spread is wrapped around a pickled okra! Slice about one inch thick, sprinkle with seasoning, and serve.